There’s something about Knockanstockan. I’m not sure if it’s the carefree atmosphere, the lake-side location, the air of discovery that comes with their eclectic line up, or that it’s just so rustically hippie dippy it practically seeps into your pores. It really reminds me of settling into a corner of Glastonbury and bedding in for the weekend, something I’ve always wanted to do in theory, but suffered from too much fear of missing out to go through with it (my rave review for State.ie from 2010 sums it up, really). I’m not sure the organizers realise it (see Bettine’s answer to my first question! ), but there’s also a growing mythology around the place. It comes out in the stories people come home with, in the talk of early days and in the way the festival seems to infuse the entire ethos of a certain section of Irish music culture. That, and they just seem so, so nice! A case in point: not only has Bettine given me a fantastic lowdown of what the festival is all about here, she’s thrown in an exclusive early band announcement, too. Read on! 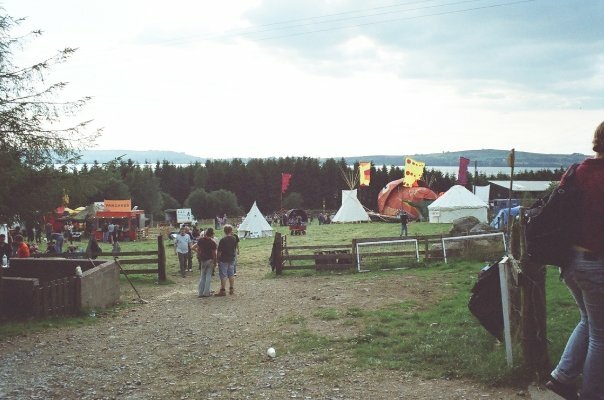 I hear Knockanstockan has quite a back story (I may be totally wrong, but I heard a story of a squat community turning into gigs and then festivals). How did things start, how did they develop and when did it all become so real for you? Ha-ha that is hilarious! You’re not too far wrong though. The festival started from the idea of a group of musicians who were gigging tirelessly and finding it hard to get slots at the bigger festivals. At the time, in 2007, there weren’t really any small festivals around that booked unsigned and independent Irish artists, so the idea was to build our own. What started out small soon began to take momentum and every year, we all wanted to make a bigger impact for the musicians than the previous year. More people volunteer their time every year and we learn to grow with the imagination and skills of the community. “Blood, Sweat and Volunteers” as we say. In 2010, a bunch of the crew did move in together into a large house which has space to rehearse, record, build stages, make music videos and much more. It’s not a’ squat’; it’s more a base for some very creative people! 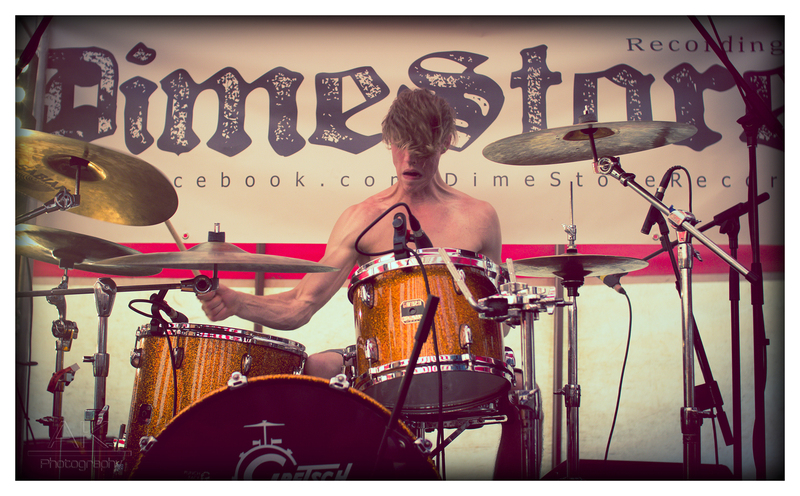 It became very real when we realised we weren’t there to party, but to run a festival! How did that very first festival feel? Was it tougher getting things off the ground, or keeping them going? The first festival was really very different to the rest, it was the year that a seed was planted in the minds of many who attended and played. It was one big party really in comparison to what it is today. The seed grew throughout the year and when we returned for year two it had blossomed into a festival. We even won the award for Best Small Festival back in 2008…we actually couldn’t believe it! What’s the evolution of the festival been like, and how does it compare now to back in the early days? Darwinian! We as a crew have evolved and learned from our surroundings and each other. I think the main difference between now and then is that we are a lot wiser and the festival improves a little every year as we grow. In the early days we were just about making the gig happen out of necessity for artists in this country but as the festival evolved, we worked harder on making the experience better and put a lot of work into the finer details of the event for example including more visual and performance art and starting artist development throughout the year. There seems to be such thing as a ‘Knockanstockan band’ these days. Are there bands that have played every festival? What do you look for in an act? This is great to hear that people think that. We have always endeavored to support our artists and this has resulted in some of them being associated with the festival. When we truly believe in an act’s ability to go further, we work very hard to help make that happen. This involves having them back to the festival, exposing them to more and more audiences, helping them throughout the year with gigs, press, support, advice and generally just being advocates of their talent. Nothing pleases us more than seeing an act hit the next stage of their career, whether it be getting played on the radio for the first time or getting international recognition and success, because this means all our hard work was worth it. We have seen this with previous KS acts such as The Hot Sprockets, Wyvern Lingo, The Strypes, Raglans, ASIWYFA, New Secret Weapon to name but a tiny handful. 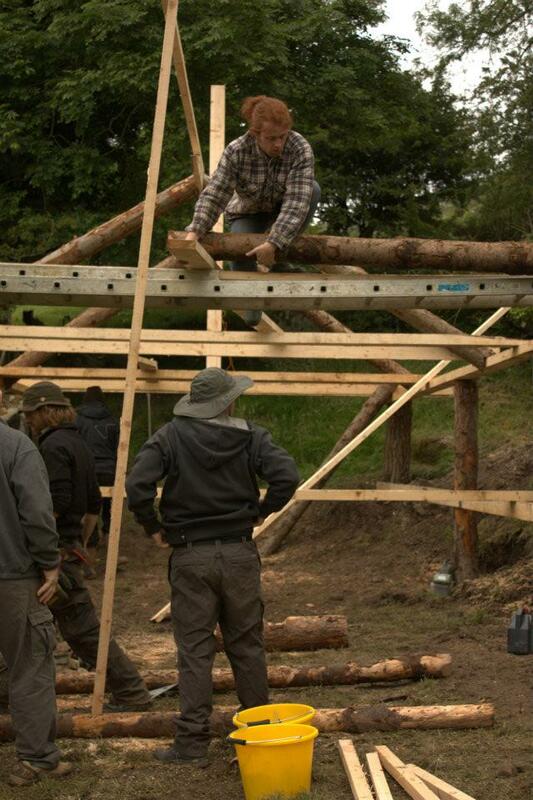 Often the artists help build the festival in return so it really feels like everyone’s festival. We grow together. Our line up consists of some acts that have been with us since the beginning; some acts who have played before and then a rake load of new acts every year. We make sure we have a good balance. We all recognize that everybody is different and so is our taste in music. This is why we have a team of ten people picking the lineup plus tonnes more nationwide giving us tips. We try to make it democratic and broad in genre to appeal to every type of music lover. 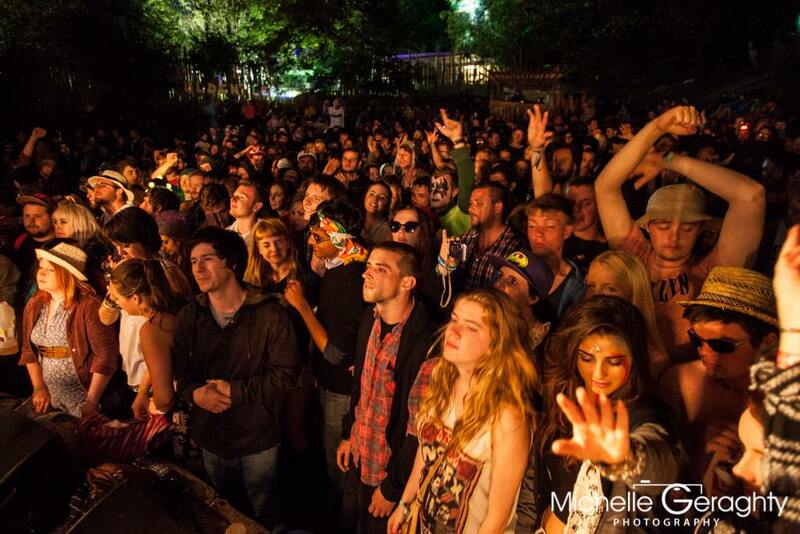 What’s the ‘ethos’ of Knockanstockan, and where does it come from? 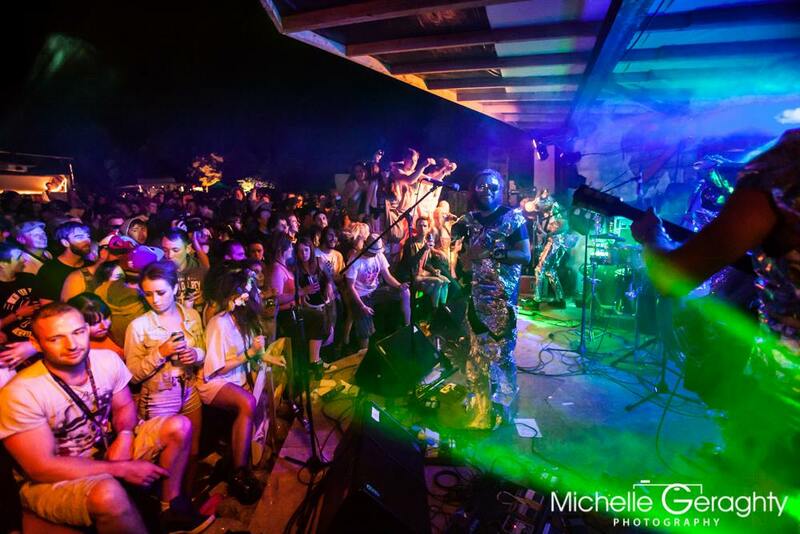 The vision and collective ambition of KnockanStockan is to grow and develop the community of musicians in the music scene and nurture the bands that are starting out by giving them a platform on a festival stage, and yearlong support. We aim to make the music accessible, this means by keeping the cost low and no restrictions on where you can or cannot bring your cans within the festival. Due to the nature of the event’s purpose being one of goodwill, the ethos organically stems from this. Encouragement, support, gratitude, equality, creativity and community are all part of our raison d’être. 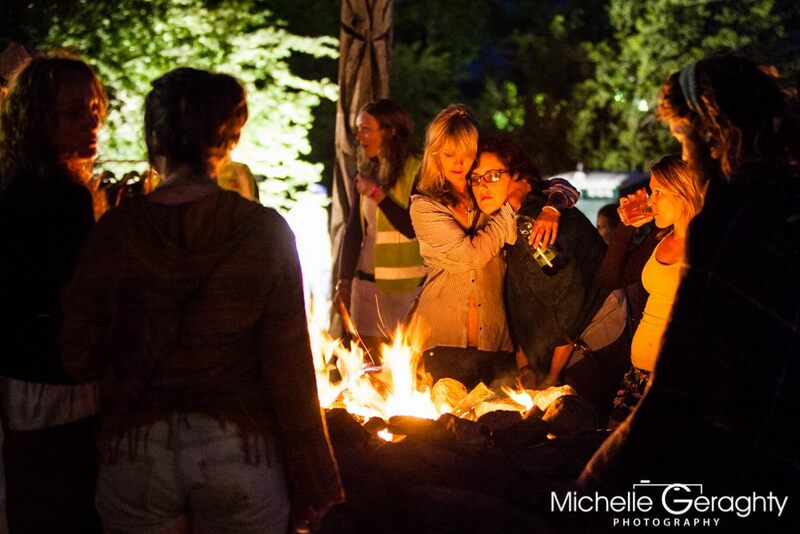 Can you tell me a classic Knockanstockan story? There are so many, but my personal favorite is the one about ‘Darren the Fence Jumper.’…I was standing backstage on the Saturday afternoon in 2012 when I saw some redheaded guy trying to hop the fence! I quickly radioed for backup and two of my fellow crewmates were there in seconds by my side. This fence jumper soon accepted his fate and was willingly walked towards the gate by the three of us, during which time he proceeded to tell us that he was sorry but he only had €30 to his name and he really wanted to come to the festival. After a few kind glances between us all we decided to take pity on him and accepted the €30 as a reduced ticket price. A year later in 2013 when we all arrived on site two weeks before the gig to build the festival, the same redheaded Darren arrives and announces to me that he enjoyed the festival so much, he would love to help us build it! So Darren and his dog ‘Keith’ stayed on site for two full weeks and worked really hard. Turns out he was a great carpenter too! What advice would you give to bands looking to make an impact on a festival application process? First and foremost, it’s about good music. A good tune(s) will trump a lot of what I am about to say. I think it’s important for bands to be seen to be promoting themselves both online and offline. If a band is getting their name out there and gigging, when their application comes in, there is a familiarity of their name (a decent name helps too!) and chances are one of the ten people on our music team has caught them live. Word of mouth in this way is King. A good live video is always a good way of seeing if a band can do what they say they can on studio recordings. Also be sure to link up all your platforms, so link up your Facebook & Twitter to your Soundcloud & Bandcamp etc etc. This makes the process of discovering the music so much easier because chances are you are on a long list of other acts, so make life easy for the listener. Also I would advise to use the “About” section on Facebook properly. Put your contact details, bio and links there. I can’t count the amount of times I would like to book a band and I can’t get an email or phone number online! If you make it too hard you will miss opportunities. Let’s talk finances for a moment. There are huge behind the scenes costs involved in running a festival, and no doubt a fair few of them come before some of the ticket money has come in. How do you make ends meet? With great difficulty! To be perfectly honest we have always been hovering somewhere between major debt and minor debt and in the past we used to have a “show must go on” attitude no matter what the consequences. We have managed to make it work in different ways but yes getting money to ‘float the site’ is one of the hardest things about putting on the gig. More and more people begin to trust that you will make good on your payments post-event though and that helps. We rely on mountains of goodwill! How strong is the Irish music scene in general these days in your opinion? Unbelievably strong! The country is bursting with talented musicians. With the recent skyrocket of acts such as Hozier, Kodaline and The Strypes, the eyes of the international music world are firmly on Ireland. I am hearing more and more about record label scouts out and about, and all sorts of bands are being offered record & publishing deals which for many years there it seemed was next to impossible. We have noticed a huge difference in the number of quality of acts applying to KnockanStockan. With the new Music Degree in BIMM we have seen a great injection of skill and talented artists being taught how to hone their creativity and art. Is there anything you’d do to change the scene as it is in at the moment, in terms of support, finance, venues or its general operation? Good question. More education, infrastructure and support I say! I think there should be “Jobs Bridge” or such an enterprise scheme for working musicians. There needs to be better fiscal support, as we have all seen too many artists struggle to make a living and thus sacrifice their art. As this new report shows, there are major problems within the industry that this country needs to address in order to nurture the creativity of her people. It’s crazy to think that it generates 470 million for this country and there’s not better financial support for artists; its life force. I also think the visa situation for Irish artists going to the USA is shockingly difficult and this needs to change. Doors should to be opened there for Irish artists to be allowed tour without having to break the law because they don’t have enough “international recognition” to obtain visa’s. Radio in Ireland should take a leaf out of BBC’s book and develop something like the “BBC Introducing Playlist”. I know there has been a good attempt to with ‘Play Irish’ and there are excellent dedicated shows for Irish music but it needs to be brought to the next level to make it easier for Radio DJ’s across the country to hear the fresh new music and for artists to simply upload their music to one platform where the right people can hear it. We listen to over 2,000 bands every year for the festival and god knows Radio DJ’s get tonnes of tunes chucked at them from every angle, how great would it be to have a simple platform where we can all get recommendations on new music for festival or radio quality music? With regards venues; I think there should be a law that states a minimum wage for an artist performing in a venue. As a promoter who has run gigs in quite a few venues around the place, it really is down to the publican/venue owner. They are making the real money with drink sales and rental fees so I think the focus needs to be on them to cough up a minimum artist fee. Where this is not possible there should be funding directed towards music venues supporting original live music and not just towards arts centres and theatres. There are many passionate people out there who are trying to book gigs and promote the music they love and they often get labeled as an “evil promoter” when they don’t have much money to offer an artist, but I think a lot of the time they are actually battling with a stingy publican/venue owner and most of them would stick their neck out for the Artists. …don’t get me started on busking laws! What are the plans for the festival in 2015, and moving forward? After the overwhelming success of a sold out festival last year, we aim to harness that success and tweak a few things. We will have a lot more toilets, more camping space, more campervan space, a new layout and lots of new visual art. Our aim is to maintain our ethos and non-commercial status but also try and get sponsors in-kind involved that can help us give back ‘developing offers’ to the musicians. We are currently on the look out for companies such as recording studios, PR companies, videographers, merchandise manufacturers, music equipment outlets/suppliers and photographers etc. to be our Sponsors In-Kind. They offer good deals to KnockanStockan artists and in return will feature on our new website as one of our partners. We aim to create work within the industry and develop artists at the same time. This is something that we have always wanted to do but have never had the resources to implement until now. …will be joining us in July! Tickets go on sale at 9am on Friday 6th of March. A limited amount of €65 tickets will be available to the early birds and then full price tickets will be €80excl booking fee. Campervan tickets will be priced at €35excl booking fee. With thanks to Knockanstockan, Michelle Geraghty Photography, Anto Kane Photography and Lauren Guillery. State of the Nation is a blog project for 2015 focused on telling the story of the Irish music scene through interviews with some of its major players. Interviews are published weekly, and you can find a full index of all published to date here.